The turbo bike is safe, durale and FUN to ride. The unique design allows the rider to steer by leaning their body in the direction they want to go. 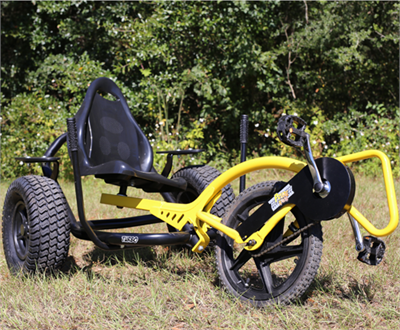 Constructed using heavy wall steel tubing, powder coat paint and sealed ball bearings for easy pedaling and turning, the Turbo Bike is designed for minimal maintenance.